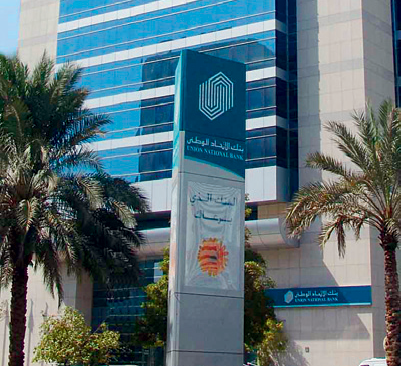 Founded in 1982, UNB is a leading domestic bank in the United Arab Emirates. It offers a wide variety of products and services, all of which are carefully tailored to suit individuals and corporations alike. The bank has established several successful subsidiaries, including the Al Wifaq Finance Company and the Union Brokerage Company, which is one of the oldest brokerage firms in the UAE. It is the only bank jointly owned by the governments of Abu Dhabi and Dubai. It is headquartered in Abu Dhabi, and H. H. Sheikh Nahayan Mabarak Al Nahayan serves as its chairman.